A Cajun-Creole restaurant, Yats is the brainchild of Joe Vaskovitch. Born and raised in New Orleans, Joe is an Indianapolis icon, known for his energy, enthusiasm, and hands-on management style. Yats is a no-frills, back-to-the-basics, neighborhood eatery that has cultivated a loyal following. Yats' Cajun-Creole dishes are rich, spicy, and filling, and the price is right. A mere $5.50 buys you any entrée on the menu, served up with two slices of buttered bread. For a dollar more, you can create a combo, or for a buck less, you can get a half-order. Drinks and desserts cost extra. The menu, which is displayed on a chalkboard behind the counter, changes daily, with six to ten dishes typically being offered on any given day. If you’re hankering for a particular dish, you may want to check out the menus at the various locations before you go. While the environment says fast food, the food definitely doesn’t. Food prep at Yats is a multi-stage process, intricately blending and simmering select Cajun spices to achieve the ultimate in flavor. Red Beans and Rice with Sausage: 'Nuf said. 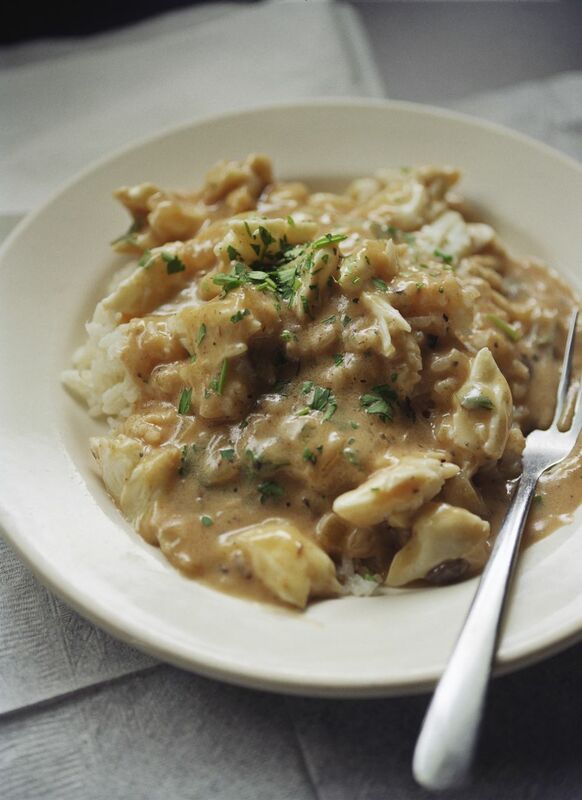 Spinach and Mushroom Etouffee: A healthy, meatless choice. If you can find room for dessert, you can choose from Yats’ homemade peanut butter cream pie or a delectable slice of cheesecake. The service starts out fast-food style with customers ordering and paying at the counter, and then heading over to pick up napkins, utensils, and self-serve drinks. Your food order, however, is delivered to your table – that is, assuming you can find one. The seating area is on the small side, very informal, and generally forgettable. Yats relies on its unique menu offerings to make a more lasting impression, and they do. The restaurant has a loyal following among locals. The food is a feast for those who love authentic Cajun-Creole dishes, and it’s a far cry from your typical fast-food fare of burgers and fries. Yats offers a variety of add-‘em-yourself hot sauces and select spices, so you can add as much or as little as you want of the tastes you crave most. The price is mighty hard to beat, and since all entrees are priced the same, you don’t have to factor price into your selection. The place tends to be crowded, with chairs crammed back-to-back and little privacy. This isn’t the place for intimate dining. Unlike many restaurants that specialize in ethnic foods, if you’re not a fan of Cajun-Creole food, you won’t find any alternatives on the menu – no grilled cheese or chicken nuggets here. However, if you’re not an adventurous diner and the thought of eating crawfish leaves you feeling a little queasy (as it did me, on my first visit) or you think of tomato-based sauces as belonging on pasta rather than rice, less exotic choices – like the B&B (which I happily discovered on my second visit, and have been addicted to ever since) – are quite palatable. Yats has four Indianapolis-area locations. All locations are open Mon-Thu from 11 a.m. to 9 p.m. and Fri-Sat from 11 a.m. to 10 p.m. The 96th Street and College Avenue locations are also open on Sundays from 11 a.m. to 7 p.m.
Yats offers a satisfying meal for the money, and a welcome alternative to typical fast food for those on a budget. It’s a family-friendly restaurant with a down-home neighborhood feel, and that’s a combination that’s hard to beat.